Refreshed Price on this Country Property located on 10 Acres with Mountain Views! 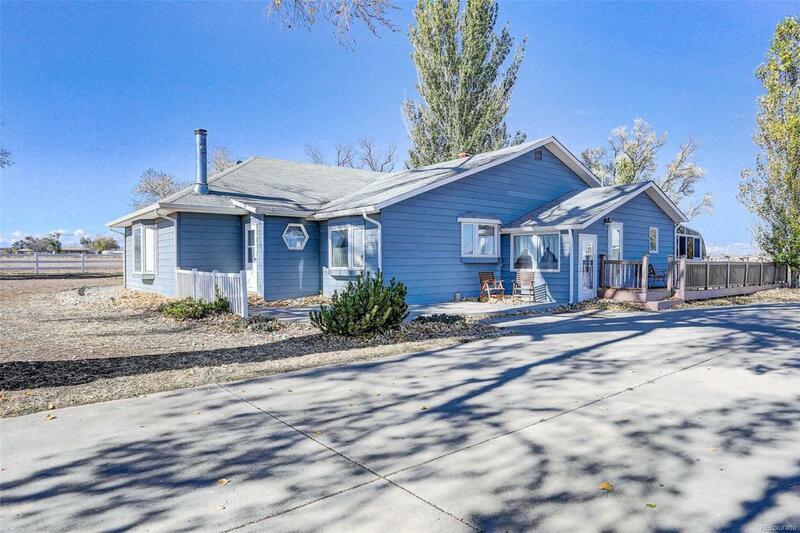 Ranch Style Farm House with 5 Bedrooms and Two Baths and Laundry Room on the Main Level. Full Finished Basement with seperate entrance with Large Family/Recreation Room with a 3/4 Bathroom and Second Laundry Room. 40 x 30 Detached Garage/Shop, Country Style Red Barn with Hay Loft, Two Grain Bins and Pasture. Enjoy the pleasure of County Living but within minutes of everyday amenities. Schedule your showing today! Buyer to verify Schools and Measurements. Offered by Coldwell Banker Residential 30.